Now more than ever, moms across the country are incorporating marijuana usage to their everyday lives. Being a parent is a 24/7, 365 day job without pay, benefits, or day offs. So it’s understandable that “mommy time” can include (nay, DEMAND) the occasional glass of wine or joint. And with recreational use now legalized in California, the stereotype of cannabis is shifting. What was once a stoner’s delight is now an everyman’s — or should we say everywoman’s — treat to imbibe. Learn more about why moms are turning to pot. A mother’s day is never done. They’re making the lunches, folding the laundry, putting away the toys, cleaning the house, and so much more. That’s why having a little help in the form of pot can really give mom a hand up. Cannabis greatly aids in helping parents to get through the otherwise mundane with great ease. As mentioned earlier, being a stay-at-home parent means no time off. Moms can’t just call in sick due to a migraine. They have to work through the pain and muster the strength to get through the day. And this is where pot becomes more than just a fun treat. Cannabis is an anti-inflammatory pain reliever that moms turn to in lieu of prescription pills. Traditional medication can leave moms groggy and possibly addicted which makes marijuana a smarter, safer choice if choosing to manage pain as a parent. Imagine it now, your day starts at 6am and doesn’t end until 10pm. There are no breaks and there is no clocking out. By the time evening comes along, you’re worn out, messy, and frazzled. Now is the time to turn your sights to cannabis. With either just a couple puffs or bites of edibles, moms can finally call it a night and start relaxing. This well-deserved and highly-needed mommy time is on many mom’s must-have lists these days. The word is out, more and more mothers are openly coming out as marijuana users. When you’re stuck in the house with only a toddler to communicate with, you inherently seek the company of other adults in order to keep sane. 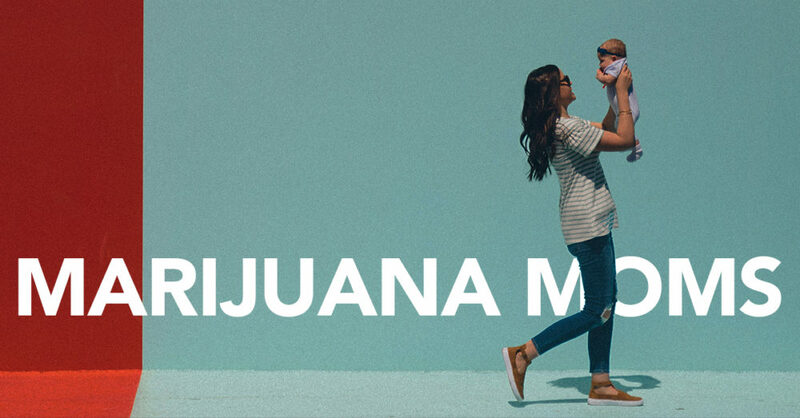 Mommy groups, yoga moms, soccer moms, the list goes on and on — these examples are evidence of moms’ needs for socialization and with the introduction of legal marijuana, they’re joining forces and using pot as the glue that bonds their relationship. Of course, designated drivers are always, always recommended. The mothers of America have spoken — they need help and it comes in the form of cannabis. Whether it be to help with everyday chores, to ease daily pain, to aid in relaxation, or to remain social — parents are adding marijuana to their day-to-day lives as both a parenting tool and treat. And now that recreational use is legal, the stigma is lessening, and more and more moms are comfortable dabbling with the drug free of shame.